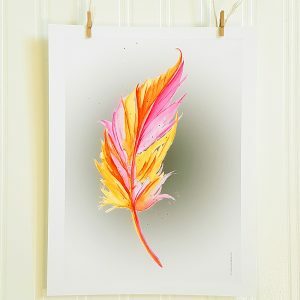 Mother Nature’s loving influence is present all around us and, as this art print shows, she can be felt by even the smallest of creatures. I picture Mother Nature as a benevolent caregiver, omnipresent and loving. 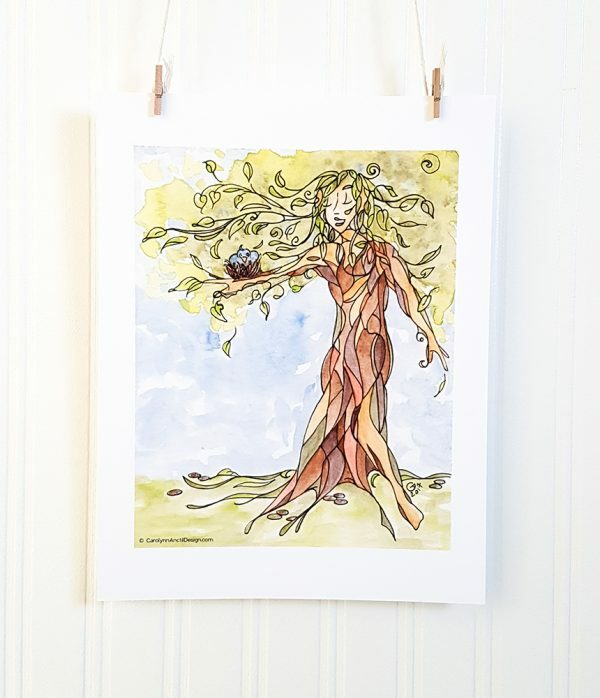 I felt compelled to create a watercolour illustration art print that showed her embodying a living tree, both graceful and elegant, as well as strong and protective. Her presence can be felt at all times, if we but open our hearts to her. This art print is for anyone of any age or gender who feels a strong affinity with nature. Prints are unframed. This illustration is sized a little differently. For example, the smaller image size measures 5″x6″ and I print it on a 6″x 8″ paper. Please visit my FAQ page for details about sizes, materials used and what’s included with your print purchase. 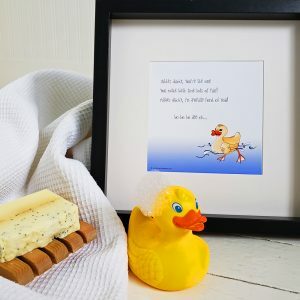 5"x 7", 8.5" x 11"
Love, love this art print. The subject matter as well as the artistry is awesome.